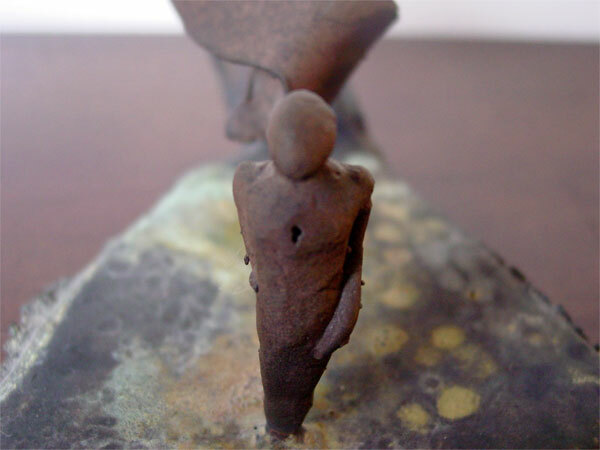 It’s been a long time since I had a chance to cast in bronze, but I still have a few pieces left. 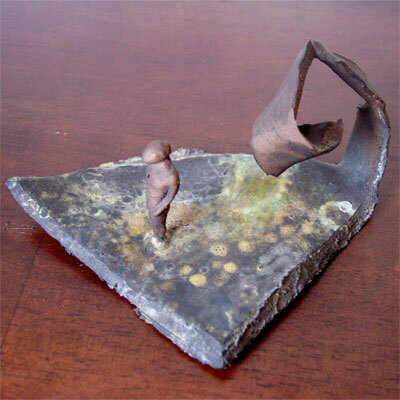 In this one, a small, abstracted figure stands on a strange landscape of texture and shape, with a small keyhole in the center of his chest. 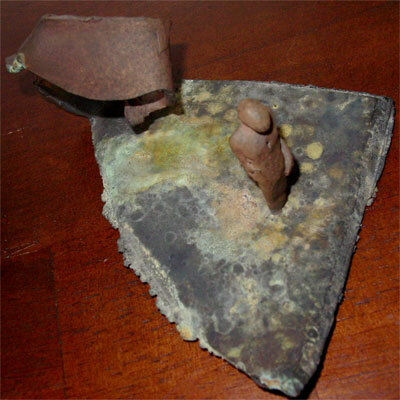 The entire sculpture is actually quite small — the figure is a bare 2″ tall, and his unusual landscape is 5″x7″ at its widest points, and 3″ tall where it curls up behind him. 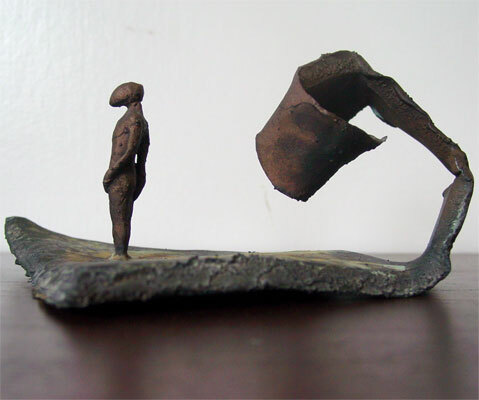 I left on most of the random textures created by the casting process, and in fact the cavity from which the piece gets its name was created by the shrinking of metal away from the sprue at the point of contact. The hollow made such a perfect keyhole shape that I decided to keep it rather than filling it in. The colors were created with a combination of chemical patina that was heated with a blow torch until it bonded with the metal, and the passage of time and the oils from being held by human hands. It will continue to evolve as the piece is exposed to handling and the environment, the browns growing richer and the patterns changing subtly. 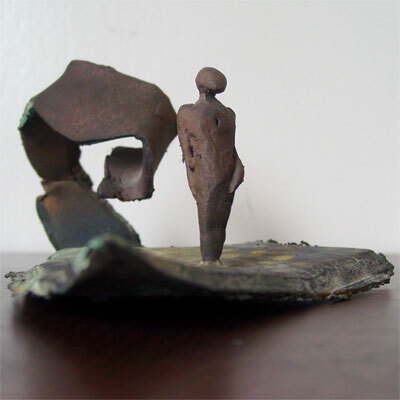 Key to My Heart, 3″x5″x7″ cast bronze.